Thank you for clicking on our 26th weekly update. 😄 This is our 26th weekly project progress report on our community building and technology development! 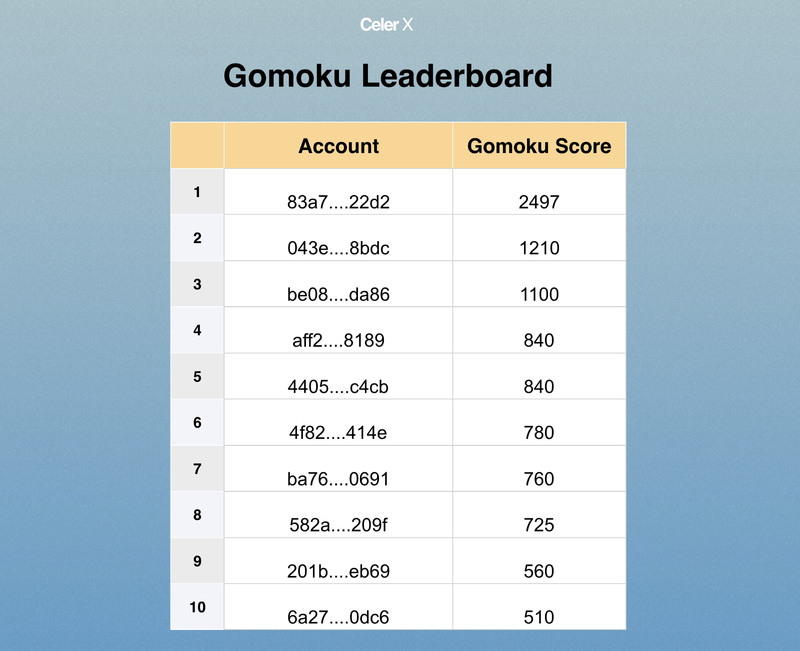 The Week Three Celer Gomoku leaderboard result is listed below in the Community section. Don’t forget to join our telegram group to claim your prize! And please stay tuned for more updates from Celer Network. March 13–14, Token2049 in HongKong: Join us for our scalability panel with Qingkai Liang. 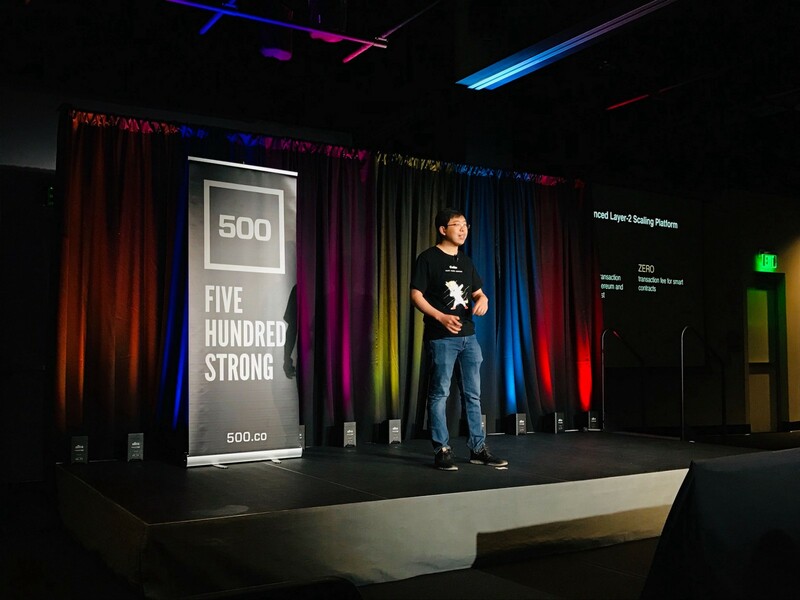 February 28, Mo Dong, co-founder of Celer Network, presented on the 500 Startups Demo Day. 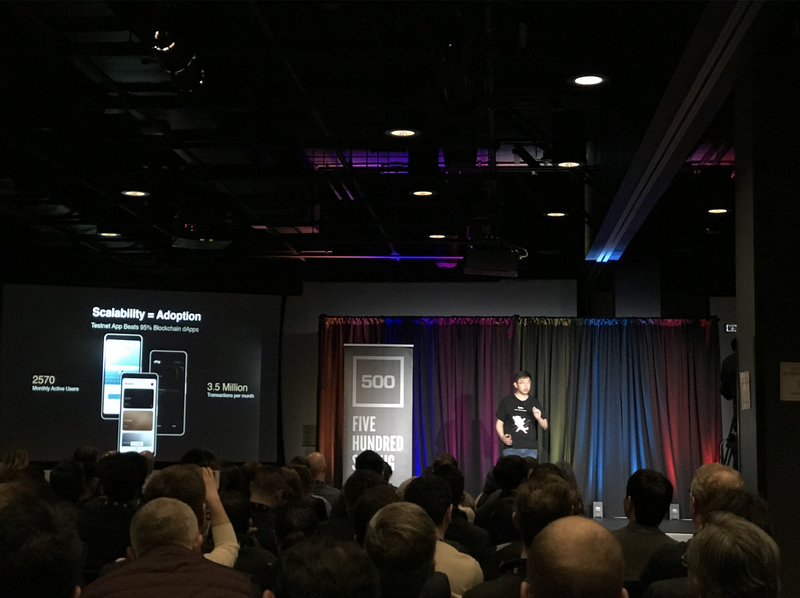 Explained how Celer’s core technology could bring blockchain to mass adoption. Hope you enjoyed the Gomoku game. 🎉🎉 Click HERE to check the week-three leaderboard results for the TOP 10% players from 2/22–3/1. Please reach out to the OFFICIAL Celer telegram account if you are on the list to redeem your prize! We have 47 winners this week and each of you could receive a 0.08ETH prize. Congratulations to the winners!! 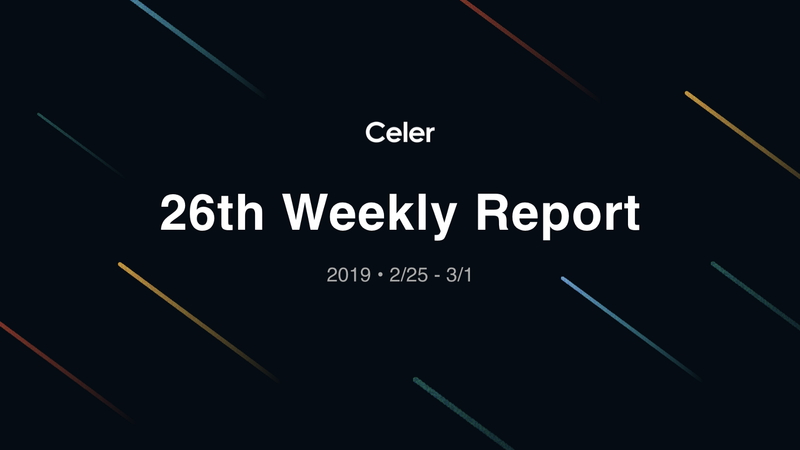 Thank you for reading our 26th weekly report! Please join our telegram group to stay in touch and ask us questions!! We will see you next week!